Tina Revai came to breastfeeding professionally in her practice working with families as a nurse of 25 years. However, once becoming a mother, her understanding of breastfeeding as an important factor in the feeling of success (or not) in parental role transition became experientially apparent. In order to support others towards self-defined breastfeeding success, Tina became a La Leche League Leader in 2006 and an IBCLC in 2007. 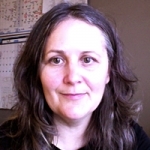 She is currently co-president of the British Columbia Lactation Consultants Association and continues to work directly with families in her community of Port Alberni, on beautiful Vancouver Island, Canada.